This luxury houseboat is named after the ever green tree in the Seychelles. The Lake is synonymous with house-boating, offering leisurely excursions filled with sun-drenched days and star-studded nights. Full, sumptuous and stylish catering coupled with a well-stocked bar ensure complete guest satisfaction. A splash pool offers safe and welcome relief from the heat. A tender boat accompanies each excursion offering great fishing and exploratory options. Fishing tackle and bait can be pre arranged. 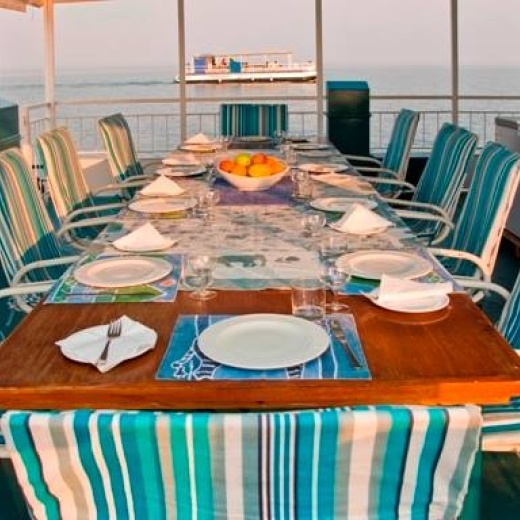 A chef can be hired to cook your food on board or choose Full or Half Board Menu for a great relaxing trip, where all meals will be served for you on time. We can provide worms with rods for bream fishing @ $5 /day. Traces and spinners can be purchased for tiger fishing from the hotel reception on arrival. We also have big hooks and bait for cat fishing that is done at night. Staff on board includes the captain and a deck hand. 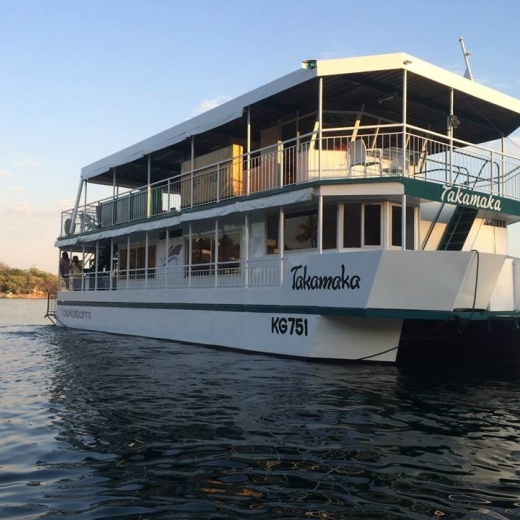 Also included on board are the following: linen, swim towels, cutlery, crockery, a bar stocked with glasses and cooler boxes for keeping your drinks cold and swim cage off the back of the boat.